The next time you’re smugly sipping on your daily cup of joe, don’t think that coffee appreciation is reserved for humans. 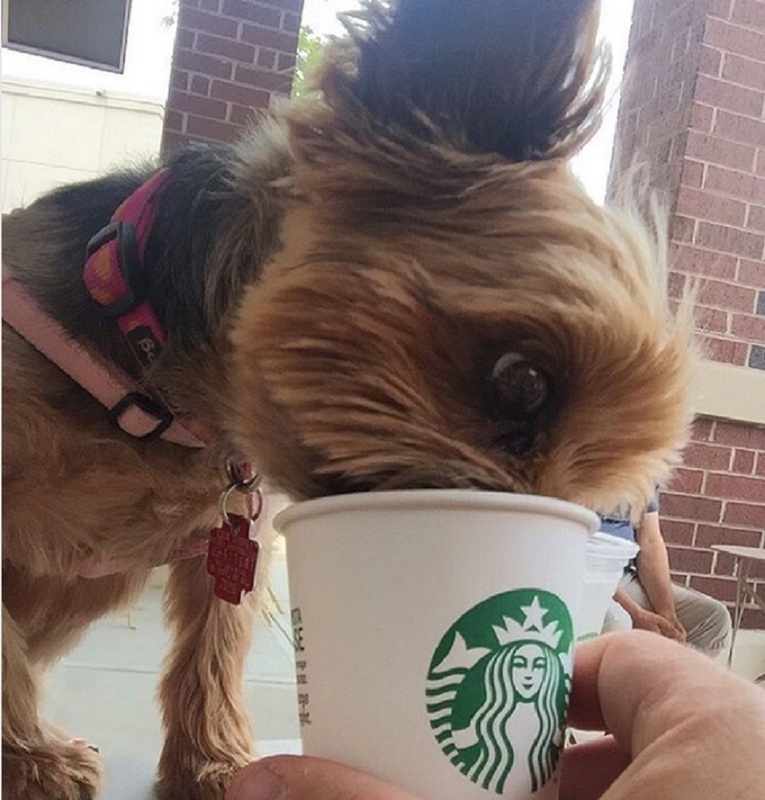 As crazy as it sounds, dogs are just as obsessed with coffee as you are. Like, why else would a coffee shop open its doors to stray dogs? Just so they can sleep indoors?! HA! Don’t kid yourself. Trust us, y’all: DOGS LOVE COFFEE (and also dog wine, but that’s another story). Just leave an unattended mug of coffee around a dog and see what happens. If they can’t get a sip from their local dog café (hai, LA), then they’ll quench their taste for the brew any way they can get it. We would totally share an Uber ride to Starbucks with any one of these dogs. Leaving a dog alone with coffee reveals its true character. This dog knows breakfast is nothing without coffee. Who cares if you get coffee on your snout? The crazed eyes of a dog that hasn’t had his coffee. OMG we’re dying over here. Because dogs require an unlimited supply of coffee. This coffee-sipping dog gets it. Nothing like a dog making a Starbucks run. So, we know it’s getting to be late in the day here, but we could easily go for a cup of coffee right now. To ensure we get the most out of our drink, we probably won’t be inviting any of these dogs to join us.